There’s quite a library of games on Nintendo 3DS family systems. As 2017 comes to a close we thought we’d take a look at just 50 of the amazing games you can play right now, from the epic adventures to the titles you can enjoy with friends again and again. The Legend of Zelda: A Link Between Worlds follows on from the story of the 1992 Super NES instalment, telling a new story in the kingdom of Hyrule. The game introduces an all-new set of puzzles and dungeons! This time, Link can move across walls as if he were painted on them. This changes your point of view completely, allowing you to think in a new dimension and solve a fresh set of puzzles. Your next big adventure awaits in Pokémon Ultra Sun and Pokémon Ultra Moon. This definitive adventure in the Alola region is full of fresh content, new Pokémon to encounter and worlds to explore. Pokémon Omega Ruby and Pokémon Alpha Sapphire, Pokémon X and Pokémon Y, and Pokémon Super Mystery Dungeon are also available, so there’s plenty to go at for Pokémon fans! Brave the hostile terrain of an alien planet and hunt down a dangerous species in Metroid: Samus Returns, a complete reimagining of the 1992 Game Boy title Metroid II: Return of Samus. Suit up as the legendary bounty hunter Samus Aran and prepare for a classic 2D Metroid adventure rebuilt from the ground up. Navigate the vast labyrinths of planet SR388, gather new weapons and abilities to enhance your arsenal, and embark on a mission to terminate the Metroid menace once and for all. If you like Tomodachi Life, you’ll love Miitopia! Head out on a hilariously quirky quest with your favourite Mii characters, where new surprises await at every turn. Have you ever wondered what it’d be like to go on an adventure with your best friend, your crush and…your teacher?! Miitopia makes it happen! The big question is – who will you take with you? Want to give it a try? A free demo* is available on Nintendo eShop! Race against time and save a doomed land of Termina in The Legend of Zelda: Majora’s Mask 3D, or save Hyrule in The Legend of Zelda: Ocarina of Time 3D. 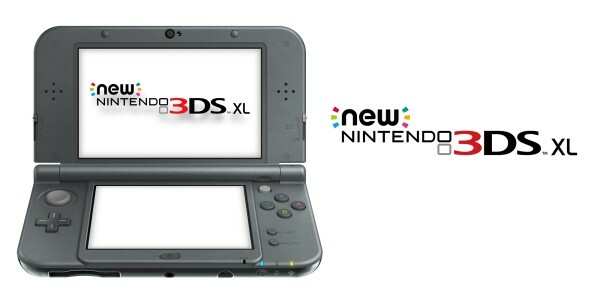 Both games make great use of the Nintendo 3DS family systems, with motion controls and a touch-based inventory system. Discover the tiny world of the Pikmin, where help is just a whistle blow away! Hey! PIKMIN is a charming side-scrolling adventure game where you explore an unknown planet in search of precious resources. Call upon the peculiar plant-like creatures known as Pikmin to overcome challenging obstacles, defeat dangerous enemies, and help the shipwrecked Captain Olimar return home! Join Luigi, the lean, green ghost-catching machine in Luigi’s Mansion 2! Armed with his trusty “Poltergust” ghost-grabbing vacuum cleaner, Mario’s brother takes centre stage to capture those pesky phantoms. Sure, Luigi’s the nervous type who’d rather be as far from these ghosts as he can get, but a reluctant hero can still save the day! Uncover the mysteries hidden beneath the sands in Ever Oasis, an all-new take on the adventure RPG genre. From legendary producer Koichi Ishii comes a one-of-a-kind adventure packed with real-time battles, environmental puzzles and dangerous dungeons! The Star Fox team triumphantly returns to one of its greatest missions with the remake of Star Fox 64 in full 3D. Star Fox 64 3D features the full single player campaign as well as local multiplayer and a new Score Attack Mode, allowing you to revisit any planet and play for a high score! Get ready for the ultimate journey into the mysterious and mischievous world of the Yo-kai in YO-KAI WATCH® 2: Psychic Specters. This definitive version of YO-KAI WATCH® 2 is packed with new features and content. YO-KAI WATCH 2 Psychic Specters offers a wealth of enjoyment, charm and mystery for both newcomers and existing Yo-kai fans alike. Alternatively, you can see where it all began in YO-KAI WATCH®. Cut down entire legions of enemies using powerful, over-the-top Dynasty Warriors-style moves, and switch between multiple fan-favourite characters to enhance your strategies in Hyrule Warriors: Legends. Enjoy all-new story elements and playable characters from The Legend of Zelda series and discover the ultimate Hyrule Warriors experience! Take Mario on an exciting paper adventure and help him repair the mess Bowser has created using the powers of brand new stickers. A cast of colourful characters will keep you laughing along the way as the familiar world of Paper Mario is brought to life in Paper Mario: Sticker Star. With over 80 brand new courses full of hidden areas and secrets to discover, New Super Mario Bros. 2 is a classic Mario game with some major golden differences. For the first time in the series you are tasked with collecting a staggering one million coins! The entire adventure is playable in Co-op Play too. You and a friend – each with a Nintendo 3DS family system and a copy of the game – can play as Mario and Luigi to try to rescue the princess. Poochy & Yoshi’s Woolly World is a dyed-in-the-wool platformer that’s bursting with colour and texture. Unthread walls with a flick of Yoshi’s tongue, throw Yarn Balls to knit in new platforms and Flutter Jump to areas that seem just out of reach. Grab your hard hat and let your imagination run wild in Super Mario Maker for Nintendo 3DS. 100 original courses designed by Nintendo await you in Super Mario Challenge, each one containing additional challenges to defeat and medals to earn! Want to take on some user created courses? Jump online*** and enter Course World to find a treasure trove of courses created by players of the Wii U version of Super Mario Maker. With 100 Mario Challenge and Recommended Courses there’s always something new and exciting to play! Donkey Kong and his simian sidekick Diddy Kong are back for more action-packed platforming antics in Donkey Kong Country Returns 3D, an enhanced version of Wii adventure Donkey Kong Country Returns. Take on the whole game together as the terrific twosome, DK and Diddy, by teaming up with a friend in Local Play**. Planet Popstar is being invaded by the Haltmann Works Company and its robotic army, and only Kirby can put a stop to it in Kirby: Planet Robobot. Need more Kirby? Kirby: Triple Deluxe is part of the Nintendo Selects range and sees the pink hero face foes from all directions and explore new areas by jumping in and out of the background! Soar through the sky and dive underwater in Mario Kart 7! With 32 courses to race on there’s plenty to keep you busy and with online multiplayer* the fun never stops! With unique modes, online multiplayer*, the ability to customise your fighter and the series’ biggest roster of playable fighters ever, Super Smash Bros. for Nintendo 3DS is truly a clash for the ages! The basics of Super Smash Bros. are simple. Use your chosen character’s unique attacks and special moves to damage your opponent, then hit ‘em with a smash attack to send them flying off the stage! The best minigames from all 10 home console Mario Party titles come together in Mario Party: The Top 100. We’ve curated the top 100 minigames to create the best one yet. The game supports Download Play for up to 4 people, so with just one Game Card, any of your friends with a Nintendo 3DS family system can join in too! Need more Mario Party? Mario Party: Star Rush and Mario Party: Island Tour are also available on Nintendo 3DS family systems. Up for some frantic multiplayer? Well, it’s every Kirby for himself in Kirby Battle Royale, a chaotic arena-based 3D fighting game! Compete in a series of hectic multiplayer scuffles for up to four players and master a variety of unique Copy Abilities in a bid to come out on top! Hunters of all generations unite in Monster Hunter™ Generations! In this sprawling action RPG, customise your warrior with powerful new skills and abilities, venture out into the wild and battle against an unruly roster of ferocious monsters! You can take on even more monsters in Monster Hunter 4 Ultimate. Both games feature full online play* too! Set your squad of Super Mario favourites on the road to superstardom in five of the world’s most popular sports, and compete with others nearby and online*! Mario Sports Superstars comes with football, baseball, tennis, golf and horse riding included, so there’s plenty to enjoy in this one! Combine the powers of three heroes in The Legend of Zelda: Tri Force Heroes. Band together and form a legendary party of three players either online*, via Local Play, or using Download Play**! You can also head out on this adventure by yourself, enlisting the help of handy statues called Doppels to give you the power of three Links! Get ready to enjoy a whole new life in a town shaped entirely by you as Animal Crossing: New Leaf – Welcome amiibo. There are no goals, no story, not even an ending – instead, you can enjoy life in your new town in any way you choose. And since time in the game moves at the same pace as in the real world, every day brings new experiences! Put your Mii centre stage in a world full of possibilities with Tomodachi Life, a quirky game starring you and everyone you know. Populate your very own island paradise with the Mii characters of your choice and watch the drama unfold! A free demo* is available on Nintendo eShop too. Take your boutique to the top as you style the stars of tomorrow in Nintendo presents: New Style Boutique 3 – Styling Star. As an aspiring fashionista with big dreams, take charge of a struggling boutique, transform its fortunes and become the hottest, most influential stylist on the scene. Grow and expand a farm all your own, discover three unique towns and make new friends in Story of Seasons: Trio of Towns. Get a fresh start in the countryside, as you transform a humble homestead into a thriving farm by growing a variety of seasonal crops and raising all sorts of different livestock. Harvest produce and wares to trade or sell, and customise your farm with new furniture, decorations and buildings. The original Story of Seasons is also available on Nintendo 3DS family systems. Create dream homes, gorgeous gardens and a lively town square in Animal Crossing: Happy Home Designer! You’re the latest employee of Nook’s Homes and it’s up to you to design wonderful homes to suit any animal. Pick a plot of land, customise the look of the house itself and even landscape the garden, then move inside to overhaul the interior however you like: use simple Touch Screen controls to place and move furniture wherever you want it, and customise the room from floor to ceiling. The game that launched the Mario & Luigi series is back with a brand new look! Journey to the Beanbean Kingdom to retrieve Princess Peach’s stolen voice in Mario & Luigi: Superstar Saga + Bowser’s Minions, a hilarious action-packed role-playing game. The glorious past is reborn in Fire Emblem Echoes: Shadows of Valentia. Inspired by Fire Emblem Gaiden, which released exclusively in Japan in 1992, Fire Emblem Echoes: Shadows of Valentia recreates classic Fire Emblem gameplay with a modern twist, mixing in exploration of towns and dungeons. Mount up for battle in a Monster Hunter adventure like no other in Monster Hunter Stories™. Become a legendary Rider, bond with wild beasts and take to the skies for a breathtaking journey, filled with friendship, mystery, and plenty of turn-based battles. Two kingdoms are on the brink of war – and you must decide whose side to take in Fire Emblem Fates. Fire Emblem Fates comes in two versions, each with their own story to tell. Join Hoshido in Fire Emblem Fates: Birthright, or fight alongside Nohr in Fire Emblem Fates: Conquest. You can also explore the depth of the story in a third path, available to purchase* as add-on content – Fire Emblem Fates: Revelation. In a world ruled by two mighty dragons, dark forces rise and threaten to destroy the kingdom of men. Set out on an exciting adventure and experience battles packed with action, strategy and danger in Fire Emblem: Awakening. Two DRAGON QUEST classics reside on Nintendo 3DS family systems. DRAGON QUEST VII: Fragments of the Forgotten Past is a timeless RPG where you join young Auster and his friends, Prince Kiefer and Maribel, as they embark on a quest to restore long-forgotten lands. Meanwhile DRAGON QUEST VIII: Journey of the Cursed King sees you embark on an epic quest to save the kingdom of Trodain with a band of unlikely heroes. Mario & Luigi Dream Team Bros. and Mario & Luigi Paper Jam Bros. Uncover the power of Dreamy Luigi in Mario & Luigi: Dream Team Bros., or unwrap a comical RPG adventure and save the Mushroom Kingdom in Mario & Luigi: Paper Jam Bros.! The latter even sees Paper Mario join the fun! Calling all agents – the President needs you in Code Name: S.T.E.A.M.. Take control of a squad of super-agents, fight off aliens aplenty and strike up a win for the history books in this turn-based strategy shooter! Bravely Default and its sequel Bravely Second: End Layer see you set out to save the land of Luxendarc. Meet mysterious allies and terrible foes from all corners of the world, and best your enemies in instantly accessible turn-based battles. Embark on the adventure of your dream life as you craft, cast, fish, mine, battle and explore like never before in Fantasy Life. Change to one of 12 Life classes at virtually any time to access different abilities: for instance, the combat class has fierce fighters, while the crafter class is skilled at making stronger weapons and tools. If you’re not in the mood for battle, switch to a gatherer class and spend some time as a lumberjack or a fisherman – it's your adventure to play your way! Solving mysteries runs in the family! With Professor Layton’s whereabouts unknown, it’s time for his daughter Katrielle to take centre stage in LAYTON’S MYSTERY JOURNEY™: Katrielle and the Millionaires’ Conspiracy. Looking for more puzzles? Professor Layton and the Miracle Mask and Professor Layton and the Azran Legacy are also available on Nintendo 3DS family systems! Uncover hidden shapes and your inner puzzling prowess in Picross 3D: Round 2. Solve over 300 three-dimensional puzzles by chiselling away at blocks to reveal all sorts of hidden shapes within. Professor Layton vs. Phoenix Wright: Ace Attorney is a spectacular crossover bringing together the investigative puzzle-solving of the Professor Layton series and the logic-fuelled courtroom action of the Ace Attorney series. With a unique new art style, a beautiful soundtrack, a host of original brainteasers, and the brand new ability to cross-examine several witnesses at once, this truly is a case like no other! Play along to the ultimate Rhythm Paradise playlist in Rhythm Paradise Megamix! More than 100 rhythm games await, including greatest hits from the series and all-new entries! In THEATRHYTHM FINAL FANTASY CURTAIN CALL, you embark on a quest to restore the rhythmic balance of the universe in a game that combines a host of familiar features from the ultimate RPG series with Touch Screen-tapping, stylus-sliding rhythm action. So there you have it. 50 games for Nintendo 3DS family systems that you can play right now. 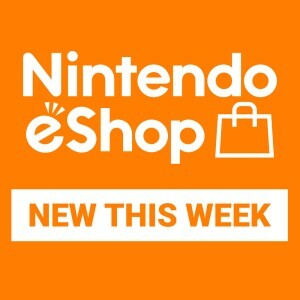 Don’t forget, Nintendo eShop is also full of great downloadable titles, from the likes of Shovel Knight: Treasure Trove, Pullblox, BOXBOY! and SteamWorld Dig, to classic Nintendo games such as The Legend of Zelda and Super Mario Land. 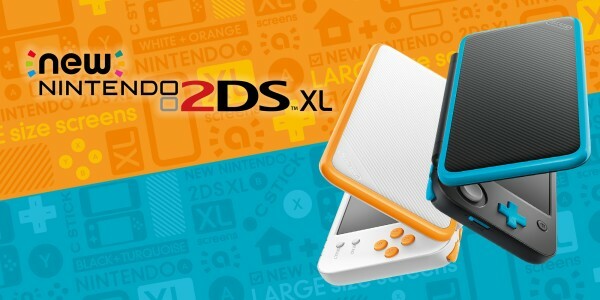 To celebrate the expansive Nintendo 3DS library we’re running a competition on Facebook. To be in with a chance of winning £40 of Nintendo eShop credit, simply head to the relevant post on our Nintendo 3DS Facebook page and comment with your favourite game for Nintendo 3DS family systems. Three winners will be drawn at random from all entries received by 23:59 on Tuesday 2nd January 2018 and will receive £40 of Nintendo eShop credit each. For full details on the contest’s rules, please read the terms and conditions below. Discover more Nintendo 3DS games here. 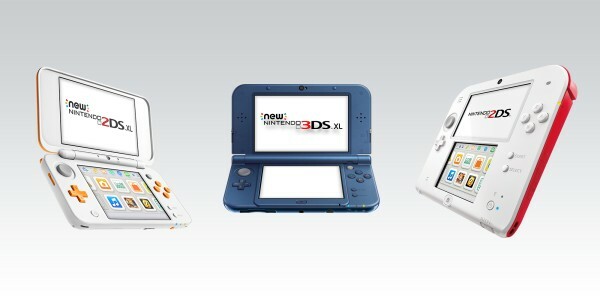 Find out more about Nintendo 3DS family systems at the official website. 4. Entries close at 23:59 on 2nd January 2018. 5. To participate in the promotion, entrants will require access to the internet and will need to register for a Facebook account. 6. Entry is online via Facebook. In order to take part, entrants must comment on the post on the Nintendo 3DS Facebook page with their favourite Nintendo 3DS game. The Promoter cannot guarantee uninterrupted or secure access to the entry route. Entrants are free to enter the promotion as many times as they want. Prizes are limited to one per person. 7. 3 winners will be drawn at random by an independent person, from all valid entries received, and notified through Facebook within 14 days of the promotion closing. If the winner does not respond to contact made by the Promoter within 28 days the Promoter reserves the right to award the prize to a substitute winner. 8. Each of the 3 winners will receive £40 of Nintendo eShop credit. There is no cash or other prize alternatives. In the event of unforeseen circumstances, the Promoter reserves the right to substitute any prize for an alternative of equal or greater value. **Please note: Download Play requires each player to have a Nintendo 3DS family system, sold separately.